Come and visit us on Saturday 30th March as we open the doors to our Prospect Centre! 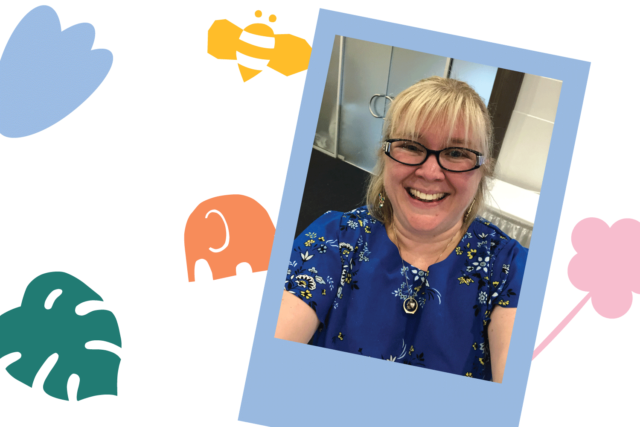 Enrolments, meet our wonderful team plus lots of fun for the whole family including: BBQ, Face Painting & balloon art, coffee and activities! 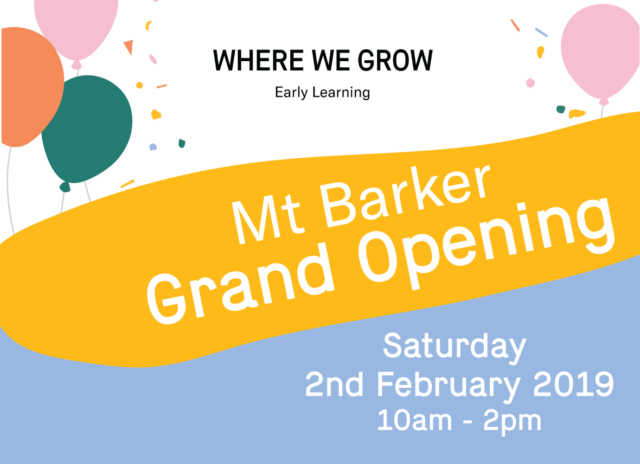 Join us on Saturday 2nd February 2019, 10am – 2pm as we celebrate the grand opening of our Mt Barker centre. Fun for the whole family including face painting, sausage sizzle and lots more! 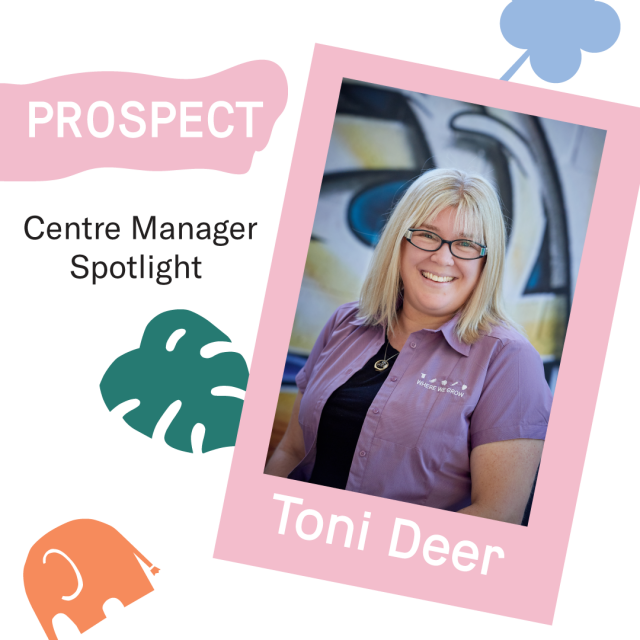 Toni heads up our dedicated and qualified team at Prospect. She is passionate about providing opportunities for children to flourish and grow to their fullest potential. 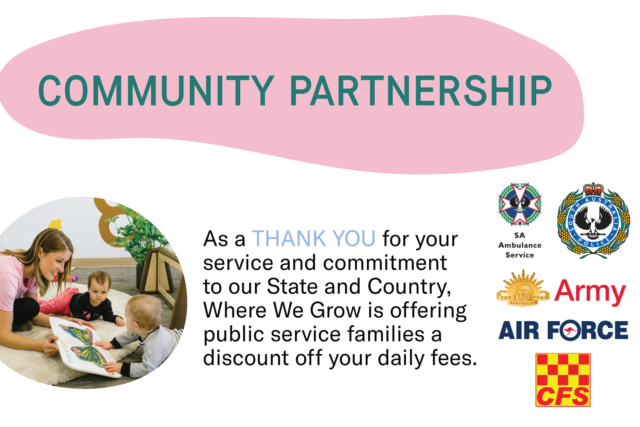 As a thank you for your service and commitment to our State and Country, Where We Grow is offering public service families a discount off your daily fees. For information about our discount and who it applies to, please contact our Centres directly and speak with our friendly Centre Managers. 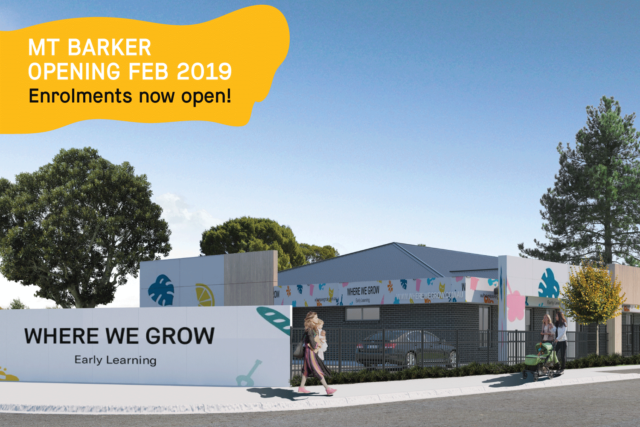 We are so excited to announce our brand new Mt Barker centre will be opening in the Aston Hills Development early February 2019. Enrolments are now open! For more information, complete the form on our contact page. Millie heads up our passionate team at Virginia. 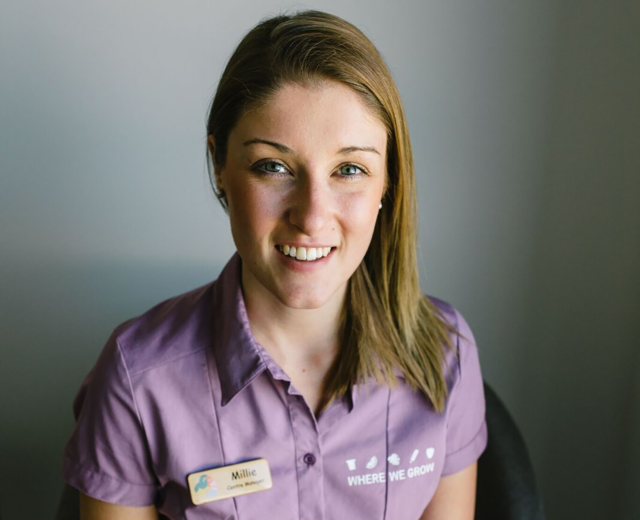 She loves connecting with families and making our centre feel like a home away from home! We are opening our doors to our families, friends and local Prospect community for a free fun day. Join us for a BBQ, coffee, face painting, Warrawong wildlife show onsite, raffle and local stalls. 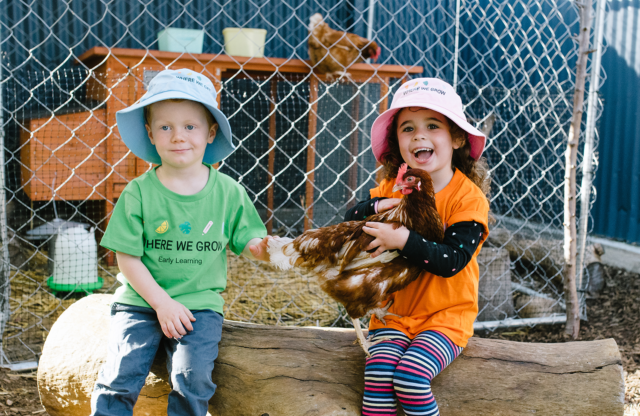 This is a great chance to meet the Where We Grow Team and if you enrol on the day receive four weeks free! * Conditions Apply. 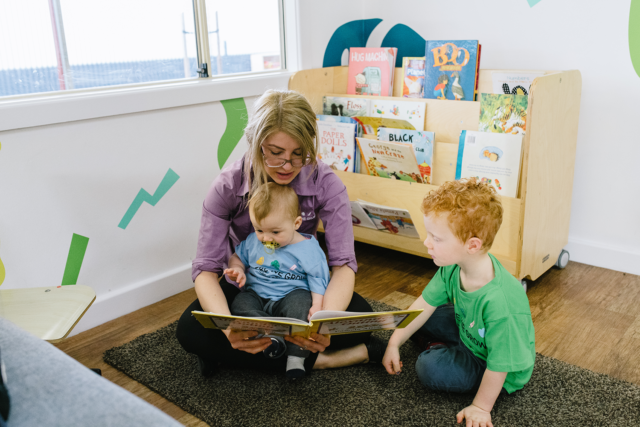 Are you passionate about early learning? Are you a qualified educator or room leader? Join our team! We are looking for passionate individuals to join our Prospect team. 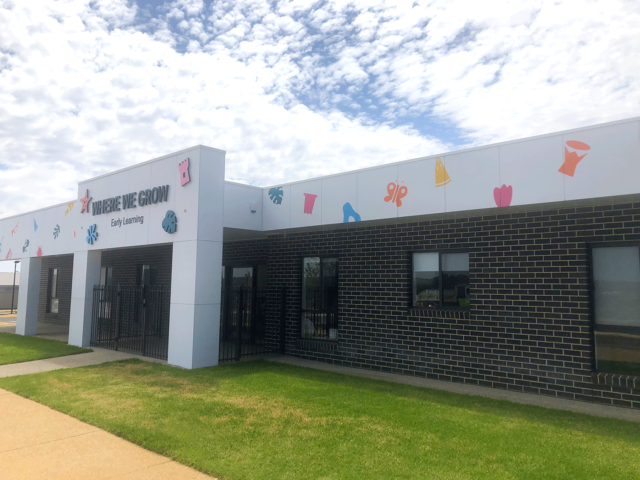 If you are an experienced room leader or educator then send your resume to careers@wherewegrow.com.au or call (08) 8342 1929.